Back in 1985, archaeologists discovered the well-preserved shipwreck of a 2,500-year-old trading ship near the kibbutz (a type of collective community) of Ma’agan Michael, off the coast of Israel. 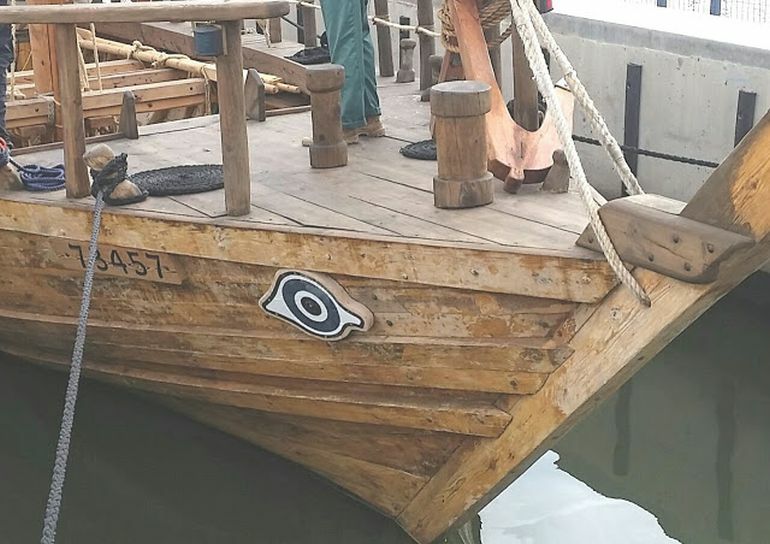 After almost 30 years (in 2014), historians and researchers as a part of a collaborative project between University of Haifa’s Department of Maritime Civilizations and the Israel Antiquities Authority, started the reconstruction of the ancient vessel. 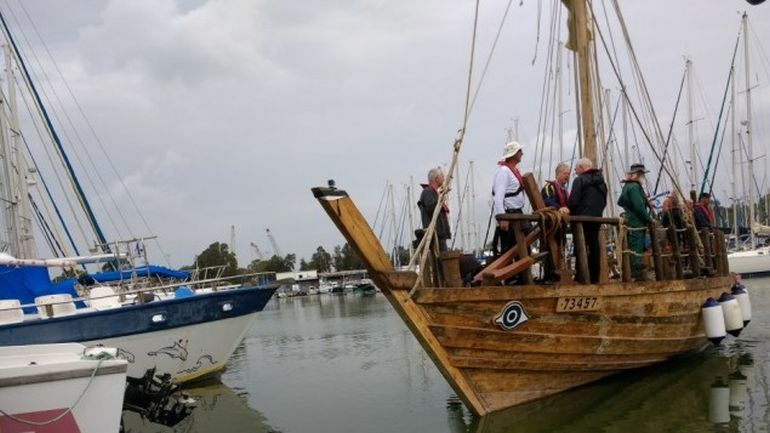 And now the experts are looking forth to the maiden voyage of their fully-functioning replica, christened as the Ma’agan Michael II – named after the kibbutz. Last Friday, the research team also replicated an ancient ritual by pouring a libation of wine to Poseidon, and then took their replica around for a short sail by the bay of Haifa. Pertaining to the former rite, historically the original trade ship hailed from ancient Greece, conforming to the standard design of a cargo vessel at the time (having dimensions of 37-ft length and 13-ft width). On analysis of the various sections of the ship, archaeologists at University of Haifa had determined that the vessel’s ballast stones came from the Greek islands of Euboaea and Cyprus, while the hull was crafted from Aleppo pine and oak. It’s hard to admire it when you see the ship completed and it looks like a prop from a movie. But if you go into the belly of this ship and understand that inside it there are close to 10,000 bolts, and tens of thousands of nails, and those are among the dynamics we had no idea how to do two years ago. There are more than a few theoretical debates, but we don’t have proof or testimony. How would you sail from here to Cyprus? It’s against the wind. We have no idea how they did it. 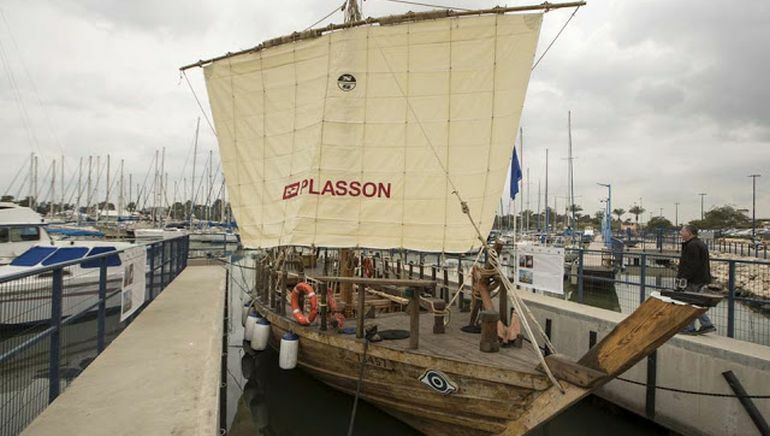 To that end, while maneuvering the replica ship is still a bit difficult even for experienced modern sailors, the researchers will embark on a maiden voyage down the coast to Herzliya, comprising a three-day sail, possibly within this month. 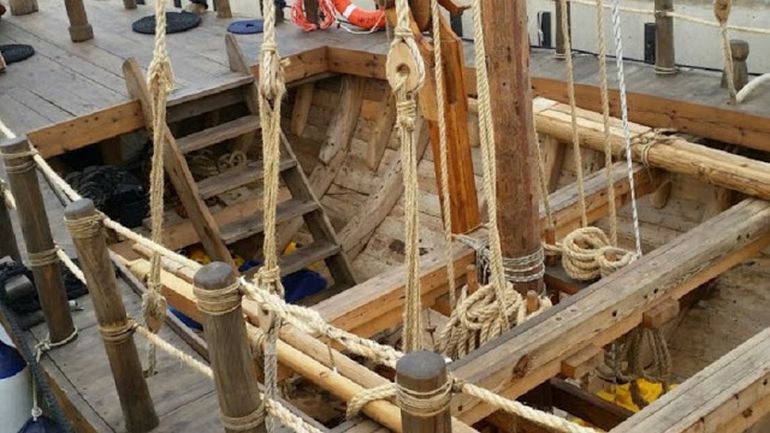 And if the expedition is conducted in a successful manner, they are even planning to take their reconstructed replica all the way to Cyprus, like their ancient counterparts.